This deal expired 4 days ago . Expired 4d ago . Last validated 2mo ago . Used 3 times. ida mar I am re-activating this expired deal. 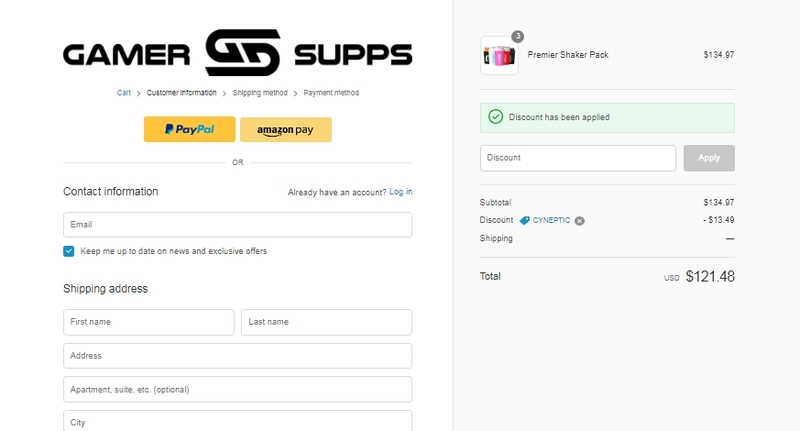 Enter code <CYNEPTIC> at checkout and get 10% Off Your Next Order at Gamer Supps. There may be some exclusions that will apply to this deal. Sergio Vergara Just get into the online store, add to the cart the items that you want, apply this promo code during the checkout to take the discount and get 10% Off Your Entire Purchase today. Offer ends soon. Exclusions may apply. For more details about this deal, see screenshot. Elisa Crespo This deal is verified, simply enter the code during the checkout process to apply this discount, there may be some exclusions that apply to this deal. Jesus medina This deal works perfectly. 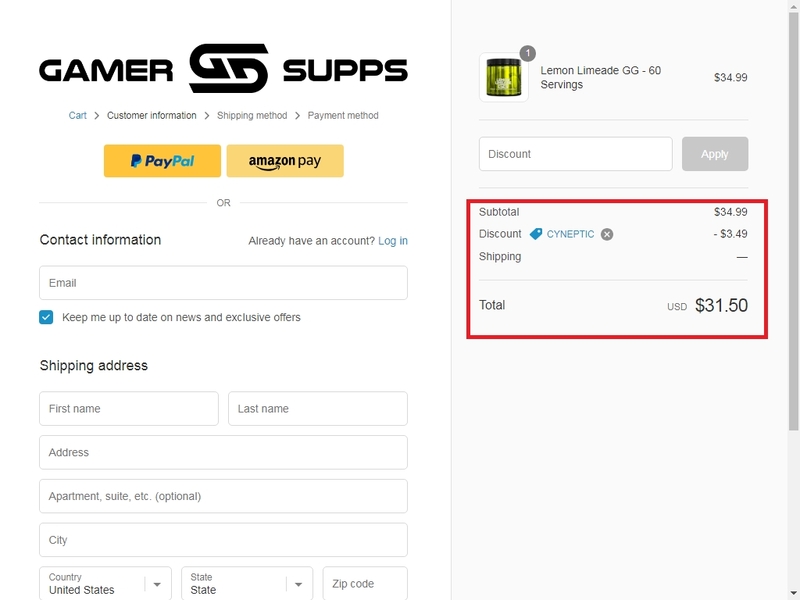 Just enter the page, apply the promotional code at the time of purchase to get 10% off your order at Gamer Supps.